They were families who looked to Rev. Amer Saka as their spiritual guide and the answer to reuniting their families. On the promise he would be able to get their loved ones out of refugee camps and into Canada, they forked over their savings to sponsor them and made plans for the future. But, as a judge heard Friday, at least $438,000 of that money is gone, likely gambled away at various casinos. Saka, 53, the former priest at St. Joseph’s Chaldean Catholic Church in London and St. Oraha Chaldean Catholic Church in Kitchener, pleaded guilty to one count of fraud over $5,000 for two years of deceit that broke the hearts of the people of the small Catholic sect who trusted him the most. The actual loss stands at more than $640,000, when factoring in the $207,000 reimbursed to families by the Roman Catholic Diocese of Hamilton, the organization that oversees the local Chaldean churches. And by the time Saka is sentenced, both the Crown and defence agreed the total will likely climb higher. The case points to vulnerabilities in the refugee sponsorship system and how easily the efforts of caring families can be erased when their funds fall into the wrong hands. In the agreed statement of facts from the Crown and the defence, read to the court by assistant Crown attorney Adam Campbell, Saka’s initial intentions were to help his flock before his gambling addiction took over. Saka is originally from Iraq, ordained in Baghdad, and has been a priest for more than 25 years. He came to Canada in 2008 and was with the London and Kitchener parishes for years. He was suspended from his duties in March 2016. In 2011, Saka went to the Diocese of Hamilton on behalf of some of his Kitchener parishioners wanting to start a sponsorship program to bring family members from Iraq. The diocese became the sponsorship agreement holder with the federal immigration department and St. Oraha was deemed the community constituent co-sponsor with the diocese on immigration applications. Families gave money to Saka so the church could show immigration officials there was enough money to settle refugee families for one year. The money was held in trust until the refugees arrived. Saka was responsible for disbursing the money to the newcomers on behalf of the church. The partnership was successful from 2012 to 2014 when six applications were approved and five families were settled in Canada. There was a distinct change in 2014 when the federal government dropped the quotas for refugees from Iraq and other countries in the Middle East. That announcement prompted a flood of requests from Saka’s church members, some of whom had known Saka from Iraq. 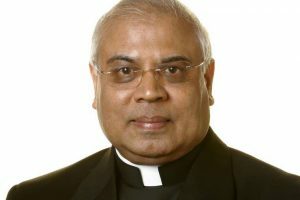 Because of the nature of some of the information in the applications, the diocese told Saka the monies to support the refugee families had to be come from family sponsors, not St. Oraha Church. Saka complained the applications were taking too long to process. At one point, an envelope of applications that Saka had given the dioceses was misplaced. In 2015, when a salaried member of the diocese took over the sponsorship program from a volunteer, errors were discovered in the applications sent in by Saka and they had to be sent back to him to be fixed. Also, it appeared Saka was taking the money from families before the applications were approved by the diocese. The backlog of Saka’s applications grew. 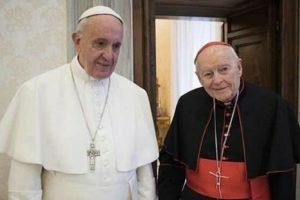 In 2015 and 2016, the diocese became aware the priest was not giving the trust money to the arriving families. In February 2016, police were called in to investigate. They discovered a large group of hopeful people who had lost substantial amounts of money. In some cases, refugees arrived and the diocese had to cover the missing trust money because it was the co-sponsor. In other cases, money was given to Saka, but the sponsored relatives never arrived in Canada. And in some cases, the sponsorship applications were never submitted to the diocese. Saka did give some arriving families cash, but it was a fraction of what had been raised to sponsor their re-settlement. In total, he reimbursed the families $17,000. Campbell pointed to 15 cases where money was given to Saka and problems followed. The amounts varied from $15,000 to $65,000. The parishioner who trusted Saka with $65,000, and lost all of it, has launched a civil suit against Saka and the church. His relatives are in Turkey and possibly the United States. In another case, a family lost $20,000 and was never reimbursed. The family they wanted to sponsor was accepted by Australia. 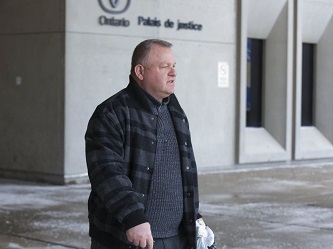 Campbell told Ontario Court Justice Allan Maclure the Crown can’t determine how much money was given to Saka for applications that were never sent in. There was no supporting documentation, but London police were able to see that some money was deposited into Saka’s personal bank accounts. In February 2016, Saka told his bishop that he had misused the money. The police had already learned large amounts of cash were gambled away at casinos in Point Edward, Windsor and Niagara Falls. Video footage from the casinos showing Saka gambling were played at his preliminary hearing. Defence lawyer Iryna Revutsky told Maclure that Saka has been treated for a gambling addiction. She said she would have materials regarding his diagnosis and psychological assessment at his sentencing hearing, scheduled for May 6. Campbell said he will seek restitution and a fine as part of his sentencing submission. 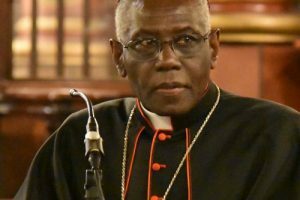 “The admission of Father Saka will bring some measure of closure to those family affected by his betrayal of trust,” he said. London immigration lawyer Ed Corrigan said the Saka case reminded him of a case about two decades ago in London when Polish families lost money through a sponsorship program at their church. In that case, he said, a priest’s family ended up with the money and several families came to him for help. “The government of Canada puts a notice on the immigration webpage warning people about unscrupulous consultants and people who are not legally authorized to represent immigrants or refugees,” he said. He said those serious about helping family should consult with a lawyer. “I hear a fair number of problems of people who take advantage of new immigrants, newcomers and refugees in particular. Corrigan added it’s “incumbent upon the government of Canada to aggressively prosecute such people to send a message this is wrong and shouldn’t be taking advantage of newcomers, refugees and immigrants.